(...) The concert is for all, most and least experts, since it opens borders and invites other insights into music and its representation. 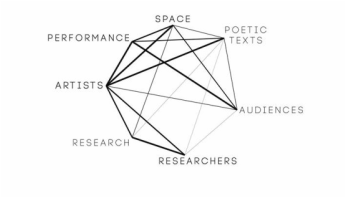 (...) the workshop based on the piece Circular-Exclusion, questions ideas of place, sociocultural identity, centrality and marginality, through music and choreography. Who are the New Music Ensemble? 2015, Autumn printed issue, 40-41.